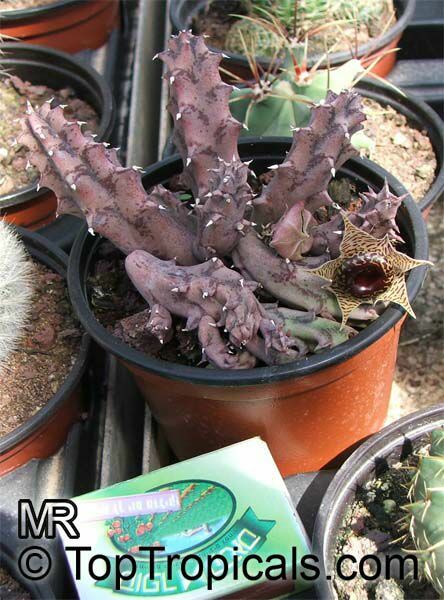 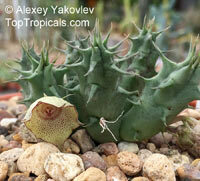 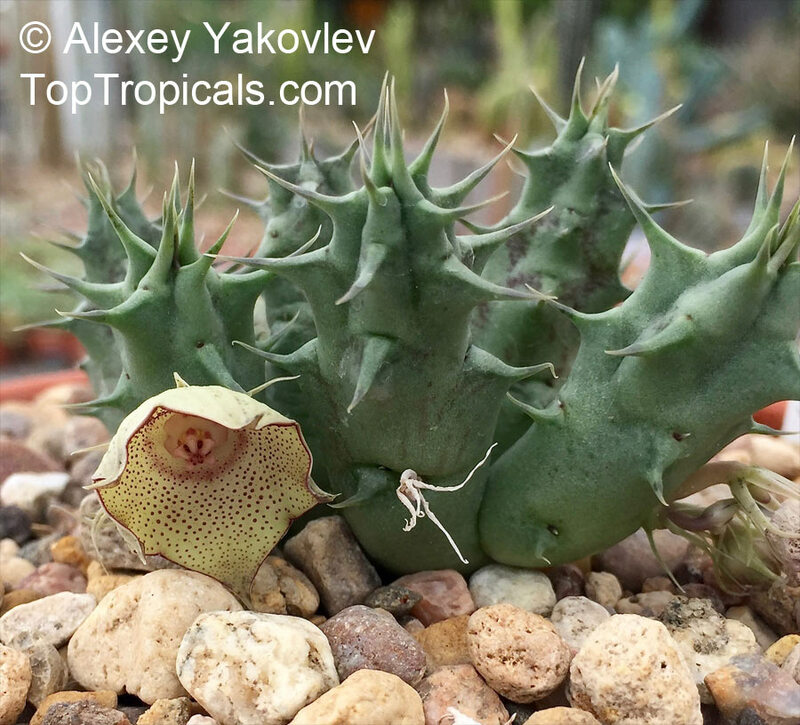 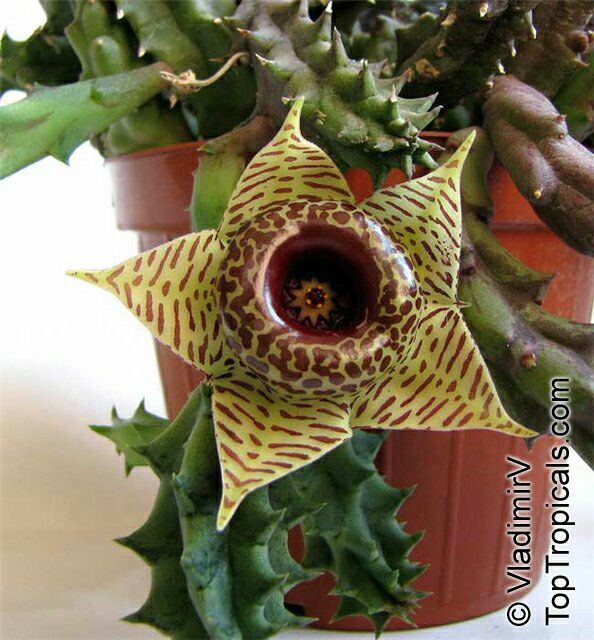 The genus Huernia consists of some 60 species of stem succulents from Eastern and Southern Africa. 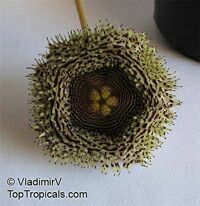 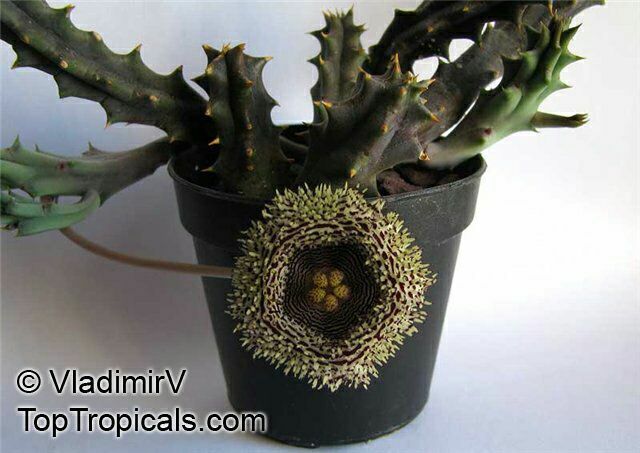 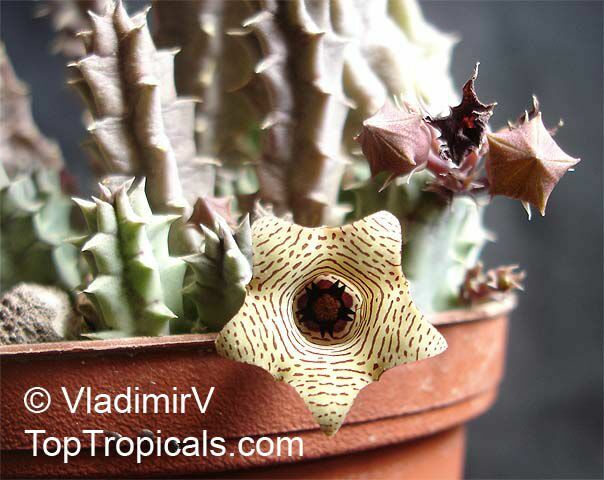 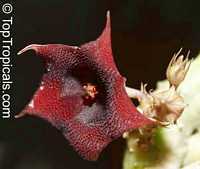 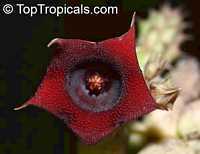 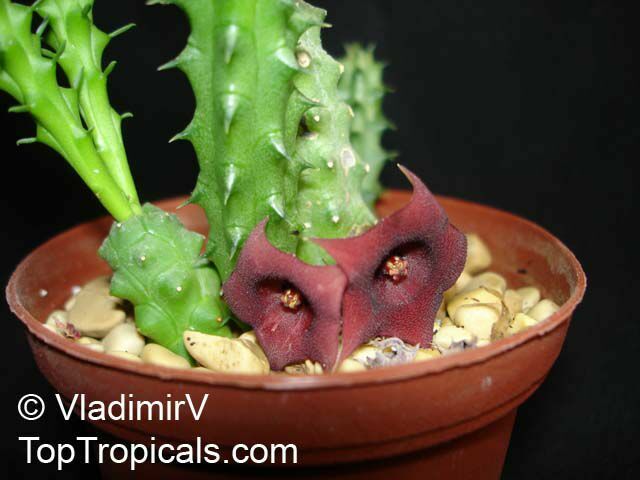 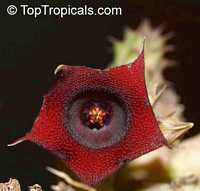 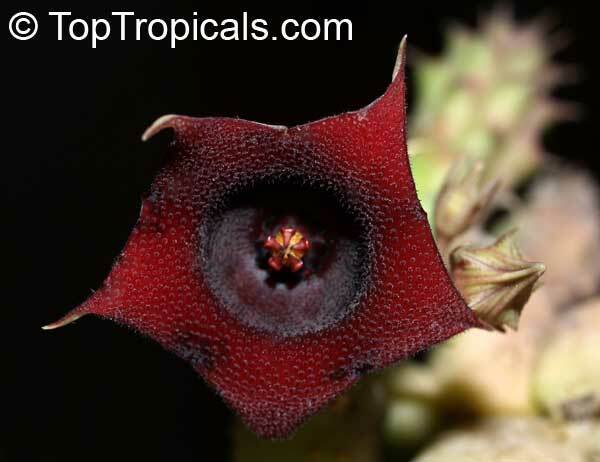 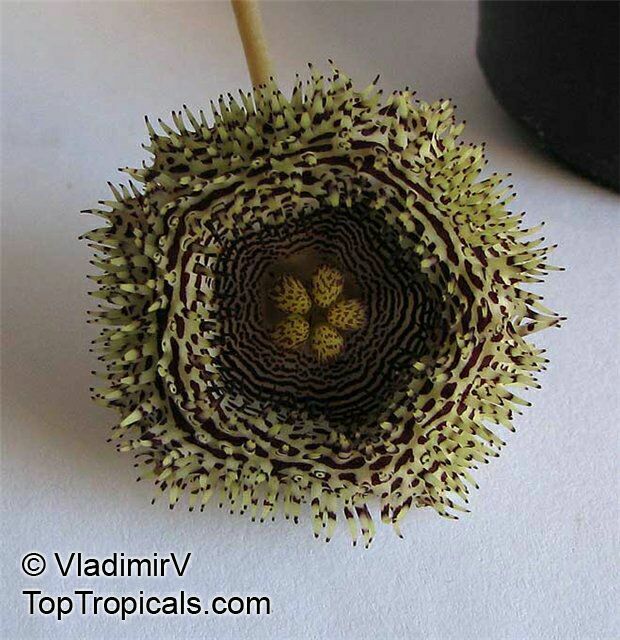 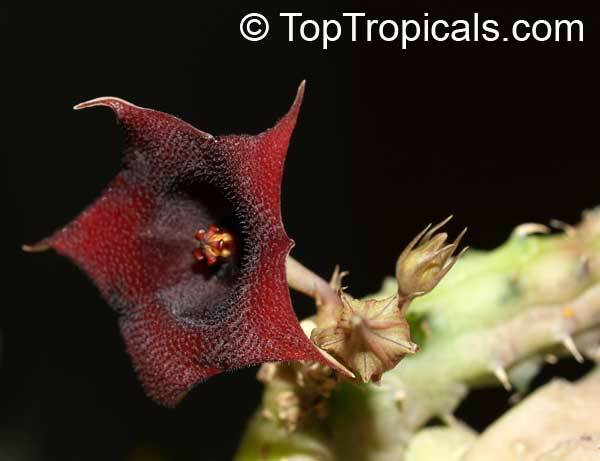 The flowers are five-lobed, usually somewhat more funnel- or bell-shaped than in the closely related genus Stapelia. To pollinate, the flowers attract flies by emitting a scent similar to that of carrion. Lifesaver plants can be grown as intriguing indoor, greenhouse or summer patio container plants almost anywhere. 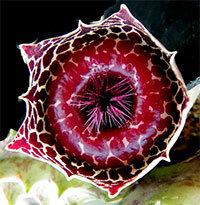 Lifesaver plants prefer bright light or partial shade. 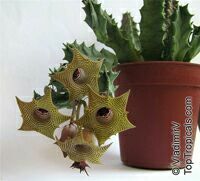 In nature, they grow underneath shrubs or other plants. 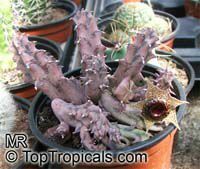 Too much sun causes stems to develop protective reddish or purple pigmentation and can actually scald the stems.